The internet is an amazing thing. 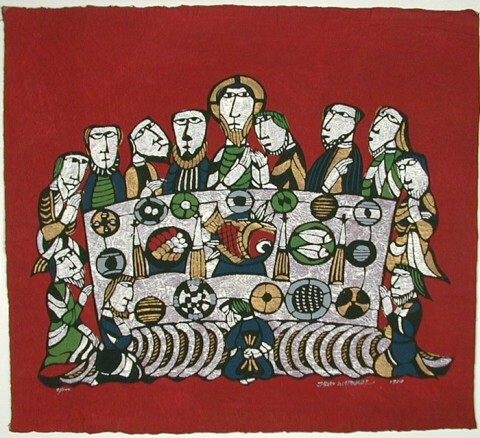 I google Christian folk art because I love simple folk images, and I find out about a Japanese folk artist whose work was partially responsible for preserving an art form as well as spreading the Gospel. When I was in the US Navy, I was sationed in Japan. Needless to say, I bought this print in 1987 and now am curious as to what it is worth. Given that Watanabesan is now longer with us. Anyone can comment on this and I am also going to have Allison Tolman of the Tolman Collection out of NYC appraise it for me too.